Meanwhile, the USNS Brunswick will serve as a base of operations in Colonia and for the outer islands. “There is no sunset to the dedication of the United States for the defense of the FSM,” said Ambassador Riley. commitment to the defense of the nation. He also used his time to thank the US for its recognition of the strategic importance of the FSM to the US. “We commit our friendship to all nations,” he said and reminded those in attendance that if nations respect each other our differences shouldn’t matter. 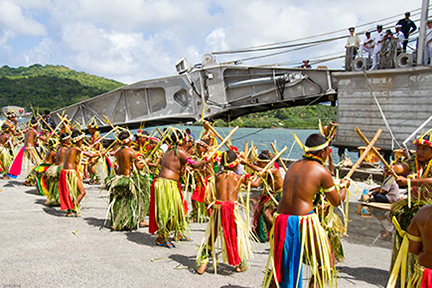 Yap’s Governor left island before the Pacific Partnership began. 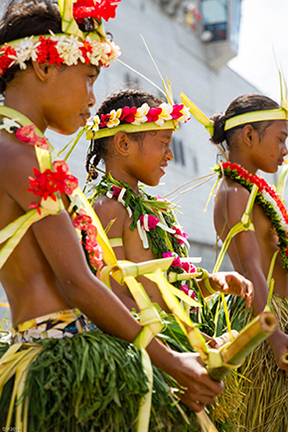 Acting Governor James Yangetmai represented the Yap government at the opening ceremony saying that it was the first time in history for Yap to be so completely inundated with medical personnel. 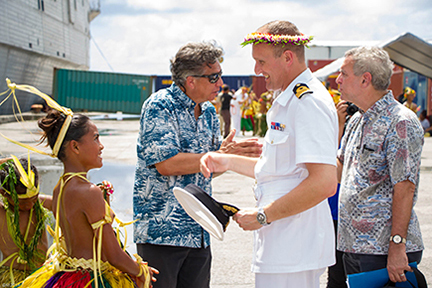 He thanked the mission for the donations they had so far made to the people of Yap and the services they would be offering during the next two weeks. “America is great to us, especially when we are in need,” he said. After the ceremony, an astoundingly talented and delightful group of traditional dancers from North Fanif Elementary School entertained the dignitaries with stick dances. 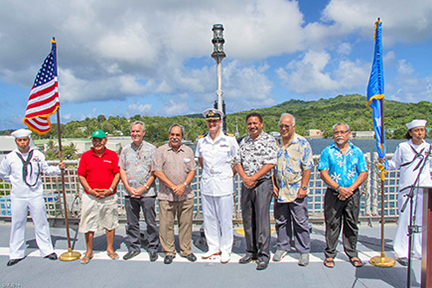 VIPS were given a tour of the USNS Brunswick, and extremely fast, highly maneuverable and reconfigurable aluminum vessel, a new class of vessels for the US Navy. In the afternoon, the mission’s six member brass band gave a fun concert at St. Mary’s Catholic School playing jazz, dance and funk numbers for the students. The students were first hesitant to dance to music though it was obvious they were loving the band, but once they did they came out in large numbers and had a ball. 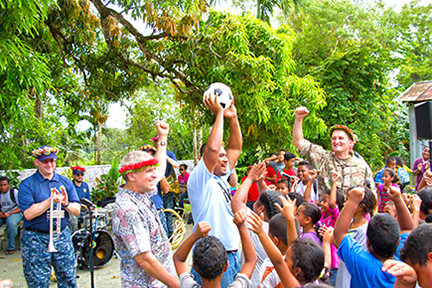 Captain Oliver presented a new soccer ball to the principal before they packed up. Captain Oliver and Ambassador Riley next visited Gilman Early Childhood Education Center where Seabees were renovating and repainting the center. 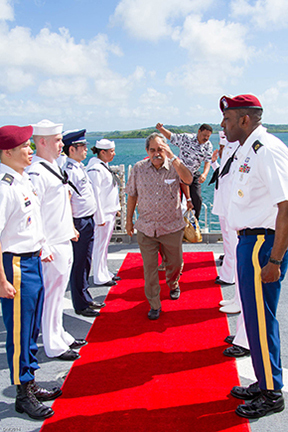 The Pacific Partnership will be in Yap for nearly two weeks performing dozens of services while they are here.